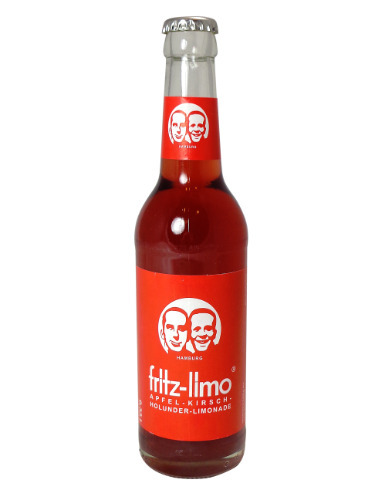 FRESH 11.2oz glass bottles Fritz Apple, Cherry, Elderberry soda with SUGAR from Hamburg Germany!! A unique fruit combination of apples, cherries and elderberries – this delicious, finely balanced drink is the jewel in the crown with 23% fruit juice content. These are unbelievably tasty, high fruit content, no artificial coloring, only natural flavors and vegan friendly too.